Warwick Junction is a finalist for the WRI Ross Prize for Cities. But behind the colorful stalls is a deeper story of urban transformation. Looking at Warwick Junction today, you would never know its troubled history as a dangerous and neglected marketplace—one that was almost wiped from existence. The story of how Warwick Junction bucked the global trend of replacing informal markets with malls and shopping centers is a testament to the compromise, conflict and resourcefulness of a small set of actors – its informal workers, local officials, and the small non-profit Asiye eTafuleni (Zulu for “bring it to the table”). It is a story of social healing and of the enduring contradictions of a modern African city. Under apartheid, Warwick Junction was a tightly controlled black entrance to the all-white city. With only one bridge providing a primary crossing into the city, it was intentionally designed to discourage movement, enabling local authorities to close off the city to non-whites living on the periphery at a moment’s notice. Police regularly harassed traders by confiscating their goods and enforcing “move-along” laws, which prevented vendors from stopping alongside streets and paths to trade. After apartheid, the eThekwini Municipality began an urban renewal project to reverse the decades racist urban design, disinvestment and neglect. Instead of the heavy policing policies of the past, the municipal project team began improving safety and redesigning public spaces by involving the informal workers of Warwick Junction. They added bridges, overpasses and entrances, and upgraded individual areas to better fit trading needs. It was all going well—until it wasn’t. In the lead-up to South Africa’s 2010 World Cup, the city unexpectedly announced plans in 2008 to replace Warwick Junction’s historic Early Morning Market with a modern shopping mall. Around 80,000 livelihoods would have been affected, between vendors, their porters and suppliers, and their families. Informal traders were heartbroken. Some had been trading in Warwick Junction for more than three decades and depended on the marketplace to support their families. It was no coincidence that AeT formed around the same time. 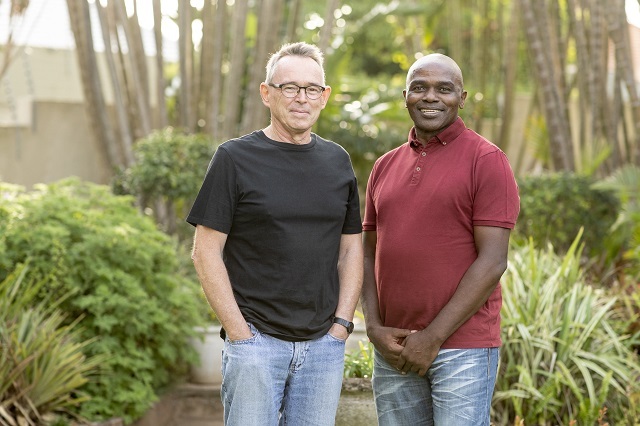 Its co-founders, Dobson and Patric Ndlovu, were former city officials and leading figures in the urban renewal project of the 1990s. They created AeT to keep the legacy of inclusive urban renewal alive and patch the widening gulf between informal traders and the city. 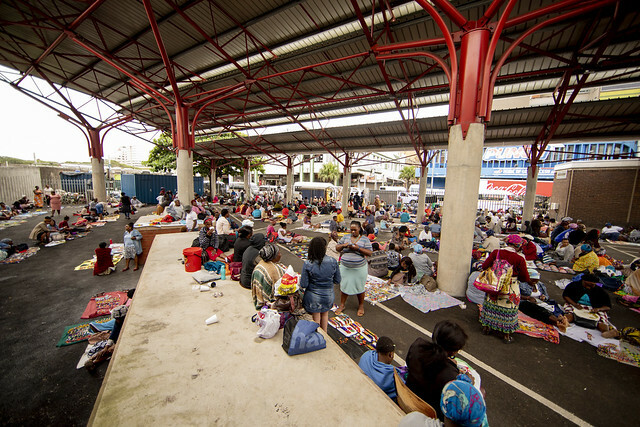 When protests erupted as the city tried to forcibly displace traders, AeT supported advocacy efforts and legal challenges against the municipality. 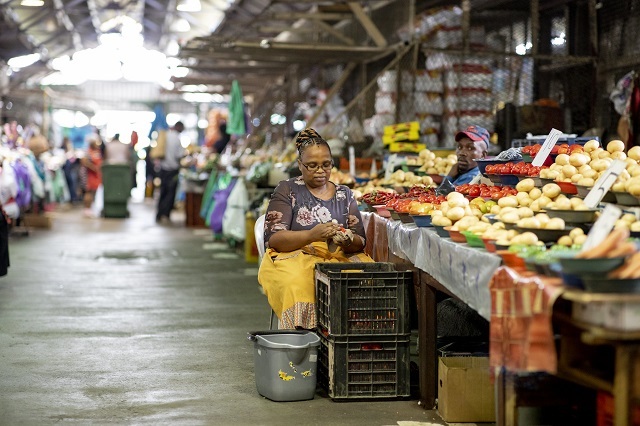 After several months of traumatic police clashes and major disruptions to traders’ livelihoods, the city paused its redevelopment plans for the Early Morning Market. But AeT knew that to secure traders’ stake in Warwick’s future, there needed to be greater recognition of informal workers’ rights. AeT started working with the non-profit Legal Resources Centre to teach street vendors legal literacy and provide pro-bono legal expertise. They also launched challenges in court. Thanks to their efforts, a court declared in 2014 that it was unlawful for the city to impound the goods of informal traders. Using techniques piloted in the past, AeT worked with traders to prototype basic market infrastructure, such as multi-functional tables, safer cookstoves and storage facilities. By involving traders in this process, they gradually transformed Warwick Junction’s formerly unequipped workspaces into areas that cater to the specific needs of each type of trader. The cardboard recyclers, for instance, now have secure storage spaces, so they no longer have to sleep next to their goods. AeT has led collaborative upgrades to Warwick’s Herb Market, Bovine Head Market, Early Morning Market and Bead Market. At the same time, AeT has developed traders’ abilities to advocate for themselves in formal decision-making processes, such as negotiating with the city over the use of public space, systematically documenting unfair practices like the confiscation of goods, and documenting deteriorating market infrastructure. 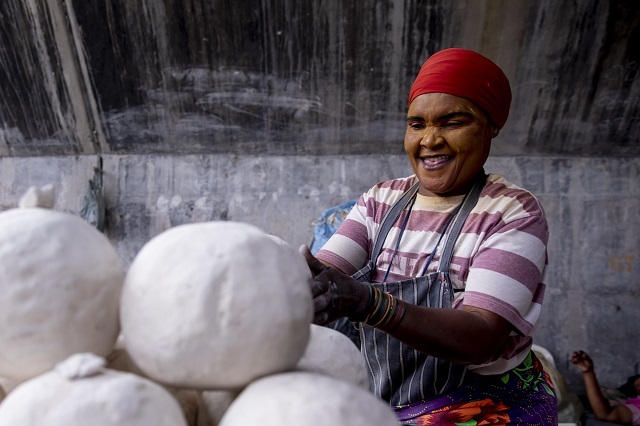 AeT’s approach provided the critical missing middle between Warwick Market’s informal trader-led organizational structures and official municipal decision-making processes. Alongside inclusive redesigns, AeT helped set the tone for a respectful working relationship between Warwick Junction’s formal and informal institutions. 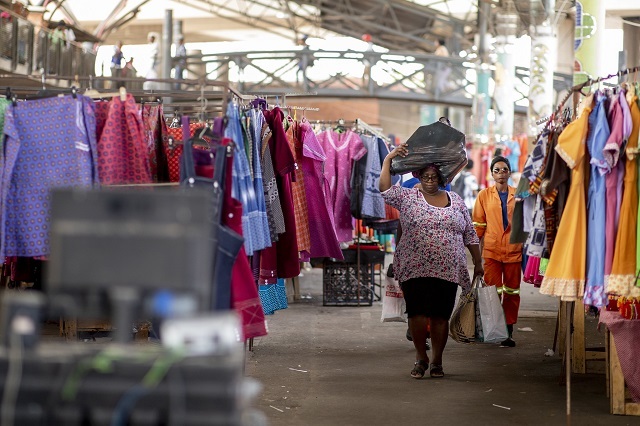 “Seven years down the line and the market stands here today,” said Romila Chetty, secretary of the Early Morning Market Traders Association. “It’s because of leaders like us. Warwick Junction is not alone in facing pressures from modernization and efforts to displace informal workers. Karachi, Pakistan is just one city that has gone a very different route. In November 2018, the city bulldozed the stalls of hundreds of informal vendors in the central Empress Market. Both informal and formal traders were affected. Some had been serving customers for more than 50 years. 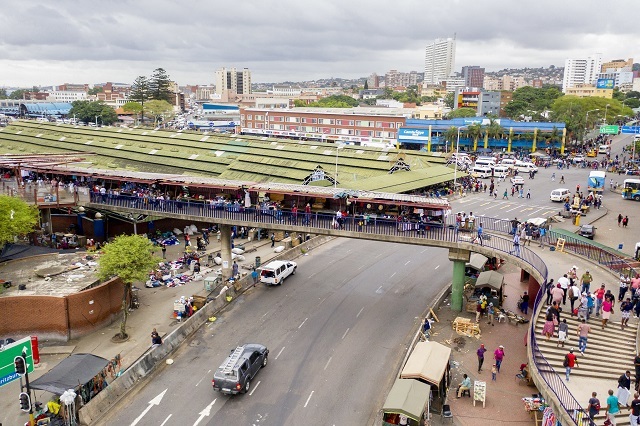 Empress Market and countless cases like it shine a light on the exceptional story of Durban’s Warwick Junction, showing that it is possible for cities to change and adapt to new realities without having to wipe the slate clean, at the expense of people’s livelihoods. Markets like Warwick Junction can remain a functioning part of the city, in which people come and go, all the while undergoing organic renewal in an incremental, collaborative way. 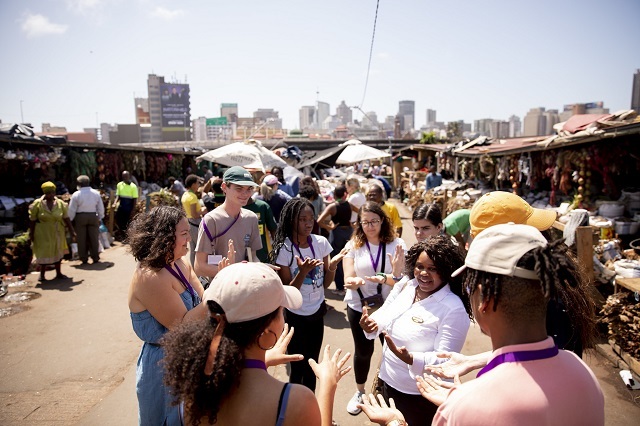 AeT’s approach is now being used in other areas of Durban and other South African cities, and has influenced national projects in Johannesburg, Cape Town and the Port Elizabeth Municipality. Today, more people than ever flow through Warwick Junction. There’s even an official Markets of Warwick tour, where vendors act as tour guides to visitors. The physical space is more accessible, better accommodating travelers as well as providing safer food preparation facilities, a pedestrian bridge, storage facilities and dedicated areas for different kinds of trade. Our blog series, Urban Transformations, spotlights finalists for the inaugural WRI Ross Prize for Cities, a global competition for transformative that have ignited citywide change. The winner, selected from nearly 200 submissions from around the world, will be announced April 10, 2019 in New York City. For more information, visit wrirossprize.org. Anne Maassen is the Urban Innovation & Finance Associate at WRI Ross Center for Sustainable Cities. Madeleine Galvin is a Research Assistant on the Urban Transformation team for WRI Ross Center for Sustainable Cities.